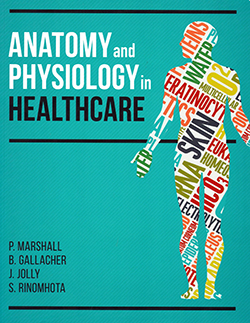 Practice development nurse Valerie McGurk reviews Anatomy and Physiology in Healthcare. This textbook presents anatomy and physiology in a fun and interactive way. It was written in collaboration by the authors who have a background in either biological science or nursing. The content is presented in a user-friendly style. It is divided into 14 chapters and the way the authors have introduced the information gives it a modern twist. For example, instead of titling a chapter ‘the reproductive system’, it is called from ‘from one generation to the next’. Each chapter presents clear direction and learning points and chapters are illustrated with colour plates and graphs. What works particularly well is the way the authors have used case studies that reflect the reality of the changing patterns of health and disease. The reader is invited to undertake a self-assessment and is directed to further reading. This book has a good foundation in its clinical application and how it seeks to link theory to practice. It also covers skills such as communication and decision making. However, this is a general textbook. For example, it does not give any indication that for premature babies and children the anatomy and physiology changes at birth and with age, presenting challenges to those working in these specialised fields. It would be a useful resource for those just embarking on their journey.